First of all, we need to ignore the fact that these gals are wearing shorts, at least for where I'm living. I think the weather is finally levelling off at a cooler temperature so we now know for sure it's time to get cozy! 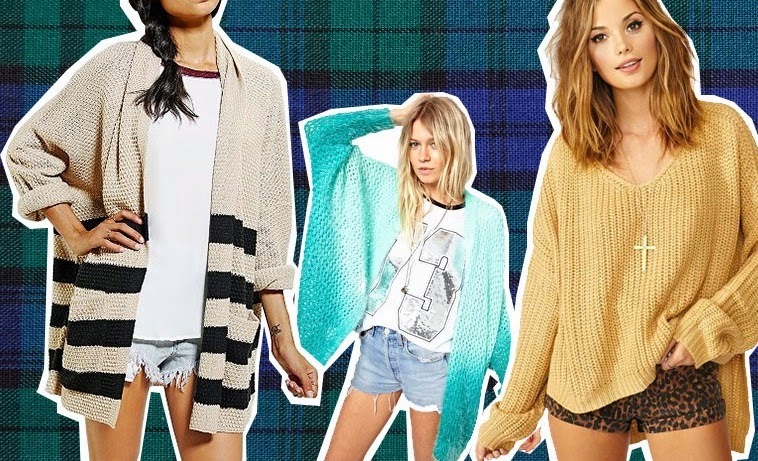 There are tons of oversized knit styles out there, it was difficult to choose a few. We're seeing a lot of open cardigan concepts as well as slight V-neck sweaters. Here are some of my favourite styles, but be sure to scour for more!